Mr. Edmond J. Safra was one of the most accomplished bankers of the 20th century, having established an unparalleled reputation for financial acumen and trust. Born in Beirut to a family that had started in banking at the time of the Ottoman Empire, he built a business that spanned more than thirty countries across the globe. Edmond Safra was just sixteen when he went to Milan to work on behalf of his family’s banking business. Following Edmond’s recommendation, the Safra family moved to Brazil, where father and son founded Banco Safra S.A. Edmond Safra was Founder and Honorary Chairman of the Republic New York Corporation and Republic National Bank of New York and was Chairman of its European private banking subsidiary, Safra Republic Holdings S.A. In 1999, Mr. Safra sold all of his holdings in Republic New York Corporation and Safra Republic Holdings to London-based HSBC. A victim of arson at his home in Monaco, he died on 3 December 1999 and is buried in Geneva. Throughout his successful career, Mr. Safra was also an extraordinary philanthropist. Rarely taking personal credit, he supported tens of thousands of students, underwrote medical research, built and restored schools and synagogues, endowed professorships, and contributed to countless humanitarian, religious, educational, and cultural causes worldwide. He made major contributions to the national, cultural, and religious life of the State of Israel – including building Safra Square, where the offices of the mayor and city administration of Jerusalem are located; donating to the Israel Museum Einstein’s 1912 manuscript of the Special Theory of Relativity; and building the Children’s Hospital at Tel Hashomer. In 1998, he was named Doctor Philosophiae Honoris Causa at the Hebrew University of Jerusalem for his achievements in the world of finance, his commitment and support for Jewish and humanitarian causes, and his contribution to higher educational opportunities in Israel. He was also honored with an Honorary Doctorate from Yeshiva University for his long-term support of Jewish education. Recognized worldwide for his philanthropy, Mr. Safra was named Commandeur de l’Ordre des Arts et des Lettres and Chevalier de la Légion d’Honneur by the French government; Commandeur de l’Ordre de Mérite by the Grand Duke of Luxembourg; and Commandeur de l’Ordre de Rio Branco by the government of Brazil. Mr. Safra created a major philanthropic foundation to ensure that needy individuals and organizations would continue to receive assistance and encouragement for many years to come. 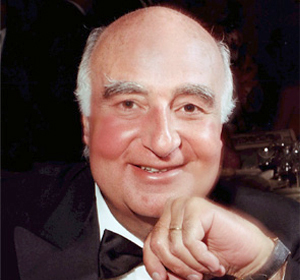 Following his passing in 1999, and under the chairmanship of his beloved wife Lily, the Edmond J. Safra Philanthropic Foundation draws continuing inspiration from its founder’s life and values.